After the Financial Times yesterday broke the news that Apple is in advanced discussions to purchase Beats Electronics for the tidy sum of $3.2 billion, the reaction was swift and immediate: Apple has finally gone off the deep end. Clearly the company’s enormous cash pile was burning a hole in Tim Cook’s pocket, because no one in their right mind would spend so extravagant a sum on a trendy company that makes overrated, overpriced headphones. As is often the case with these type of universal snap judgements, they’ve got it all wrong. Regardless of Cook’s opinion of Dr. Dre’s Solo HD or Studio headphones, buying Beats isn’t such a crazy idea. It’s certainly a bold move, but the risk isn’t as big as people think: $3.2 billion is peanuts to Apple, and if Cook plays his cards right, it may go down as the best acquisition since then-CEO Gil Amelio purchased a small computer company named NeXT. If Apple wanted to create a pair of high-end headphones, I’m pretty sure Jony Ive would be up to the task. (In fact, Beats’s design is handled by the firm Ammunition, run by former Apple design chief Robert Brunner—the very man who hired Ive.) Beats headphones sell just fine on their own, and I don’t think Cook has any plans to rebrand them as iPhone accessories. If and when this deal goes through, it will be business as usual at Beats; Apple Stores will have the same table devoted to the company’s products, Best Buy will still host star-studded launch parties, and the Home Shopping Network will run cringeworthy segments hocking the company’s signature style. And we won’t be seeing Apple logos on them either—Beats will be Beats, and based on the $1.5 billion revenue estimates, it shouldn’t take Apple too long to recoup its investment. 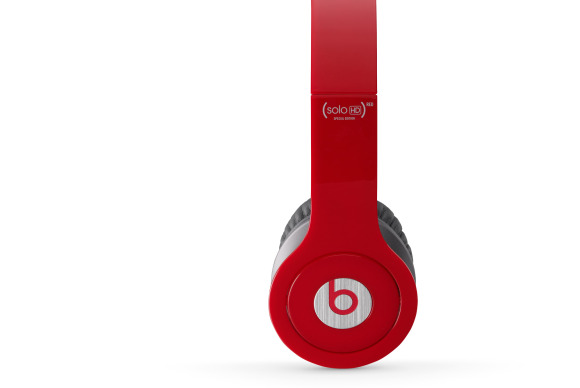 But make no mistake—Beats gives Apple’s street cred an instant boost. Audiophiles may hate them, but Beats headphones are incredibly popular with kids (who all apparently have high-paying summer jobs or parents willing to shell out hundreds of dollars to keep up with the Joneses), athletes, and pop stars. And if any of them happen to be Android users, the iPhone is suddenly going to seem a whole lot cooler, especially if Apple decides to bundle a pair of Beats in-ear headphones with the iPhone 6 instead of its usual underwhelming EarPods. It’s a pretty safe bet that Apple is going to incorporate Beats audio into future generations of iPhones, iPads, Macs, and any other product with a built-in speaker, but don’t expect to see an HTC One-style “b” logo anywhere. Beats’s audio tech is clearly an upgrade over Apple’s existing systems, but that’s just a happy byproduct of the real appeal of the company: star power. Beats CEO Jimmy Iovine is a major presence in the music world, and could bolster Apple's influence there. While it’s not quite as meaningful as getting Steve Jobs as part of the NeXT deal, music industry icon Jimmy Iovine just so happens to be the CEO of Beats, which would likely mean he’d become an Apple employee. He’s already rumored to become “special adviser” to Cook on creative projects, but his value is much higher than that; the producing legend has crafted generations of hit albums, from Bruce Springsteen’s Born to Run to Lady Gaga’s Born This Way, and he has more connections in the music industry than a soul train. If Apple is serious about reviving its declining iTunes business, Iovine’s influence will certainly help when Eddy Cue heads back to the bargaining table with music-industry heavyweights, whether we’re talking about licensing or exclusivity. And having Dr. Dre and Trent Reznor on your payroll won’t hurt either. iTunes Radio may have gotten Apple into the streaming game, but even though the service is cheaper than its competitors and comes bundled with every new iPhone and iPad, it hasn’t exactly set the world on fire. Beats Music is the newest kid on the block, but its human playlist curation and on-demand downloads are vastly superior to Apple’s method, so we can assume the next version of iTunes Radio will take its share of cues from Iovine’s vision. Beats doesn’t quite have the membership rolls of Spotify or Pandora, but it’s been well-received by critics and music fans alike, and an injection of Apple’s ingenuity and marketing—not to mention an elimination of the $10 monthly fee—will go a long way toward making it one of the premier streaming services around. Beats's new streaming service hasn't necessarily caught on with the public, but its underlying technology has been praised by critics and music fans. And let’s not forget CarPlay. Apple’s push into dashboard integration is only just getting started, and an exclusive on-demand service could certainly make it more attractive to car buyers. As it stands, our iTunes Radio stations aren’t much more personal than a similar one on satellite radio, but Beats brings us that much closer to a time when we’ll be able to ask Siri to play whatever we feel like hearing, whether it’s in our library or not. When Google forked over $3.2 billion to purchase Nest, few questioned it. Nest is a respected, admired company that makes innovative products, but a smoke detector and thermostat don’t exactly fit into Google’s lineup of online services. Still, people saw it as a big-picture purchase and praised the deal (even if they were wary of Google’s motives). No matter how you feel about the headphones, there’s no denying that Beats fits Apple’s business model. Music is still a major part of the company’s image and strategy, and having the hippest headphones under its roof will only strengthen it. Scoff all you want, but if nothing else, this deal shows that Apple is more in tune with its customers than it’s ever been. Cook is far more willing to admit defeat than Jobs ever was, and it may turn out to be his greatest strength. But even if this deal doesn’t fix what’s ailing iTunes Radio, it’ll all be worth it as long as it means we get a Dr. Dre performance at the next iPhone event.